Coming up with a great name for a company or product is something that all entrepreneurs struggle towards. A product or company name should be unique that allows the company to attract the greatest number of customers. Coming up with a good name is often difficult as it is difficult to forecast the future. I too have struggled with a good name for an application or product and sometimes wish I could go back in time and chosen a different name. One good example of a company that I believe that chose a bad name was CarFax. When the company came out in the early 90’s, they probably didn’t predict that Fax Machines would one day become almost obsolete. Now, that they have achieved brand awareness, it is extremely difficult for them to change their business name. 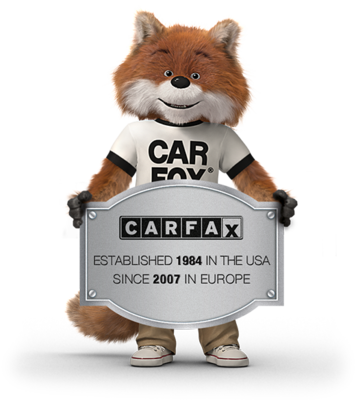 CarFax now uses a Fox in their commercials that wears a shirt that says “Car Fox”. Their marketing department is trying hard to have the customer associate a Fox with Fax. This can get be confusing to customers. This is similar with the marketing tactics of Geico trying to have consumers associate a Gecko with Geico. The Government Employee Insurance Company (Geico) probably never anticipated that non-government workers would also buy insurance from them. A more recent case of a company that I believe could have chosen a better name is Volterman. They make wallets that notifies users when they have lost their wallet. I stumbled upon this wallet on the internet on a website called Indiegogo.com. I had just recently lost my wallet and wanted peace of mind that if I ever lost my wallet again, I would be able to easily find it. Indiegogo is a crowdfunding website that entrepreneurs can use to raise funds for a service or a product. It also helps entrepreneurs to evaluate demand for their goods. The Volterman wallet that was being offered on Indiegogo contains GPS along with other sophisticated technology that lets the user know how to carefully retrieve their lost wallet. The wallet also contains a camera which can take a picture of anyone that attempts to steal the wallet. There are many things that I like about the marketing of this product. It was cleverly shown with a with a video persuading customers that owning the Volterman wallet can turn the user into a super hero. The wallet also offers additional sophisticated features such as the ability to charge one’s phone and the ability to use the wallet as a hotspot. This campaign covers all of the 4 P’s in marketing. It offers a product that consumers want. It has a price that customers are willing to pay. It has promoted the wallet on Indiegogo which has resulted in a huge demand for the product. It offers a place such as the internet for customers to purchase. The Volterman wallet has proven to be a successful product as it has been the most funded wallet campaign in the history of crowdfunding. Despite the successful demand of the Volterman wallet, there are a few things that the company could have done to increase market share. I believe if the company had used a different name that wasn’t gender specific it would have been able to attract additional customers. Their entire campaign is directed towards men, leaving a huge market opportunity open for competitors. This would have been similar if Apple had called their Apple watches as Apple-WatchMan. Such a name would alienate a huge segment of the market, women. If the company had used a name such as Volterwallet or Volter rather than Volterman, it would have been able to better position itself in the future for female customers. In conclusion, coming up with a great name for your company or a product requires foresight and due diligence. The Volterman wallet is just a recent example of a company that makes a great product, but due to poor choice in naming the product. The company is missing a great opportunity to go after the female consumer. They marketed the product brilliantly on Indiegogo towards men but completely alienated women. The company achieved 2267% of their initial funding goal which indicates that they have a great product and a great opportunity for future growth. However, since the product name is Volterman, they will have a hard time attracting female customers unless they make another product and call it Volterwoman. It would have been better if they called their product and company Volterwallet.